Steve Martin, Tournament Director of the Sandra Meadows Classic welcomes you Sandra Meadows Memorial Arena December 27-29, for some of the finest high schools girls’ basketball in the country. “This year’s tournament will be one of the strongest in the history of the tournament,” said Martin. This is his 14th year of service as the director of the tournament. 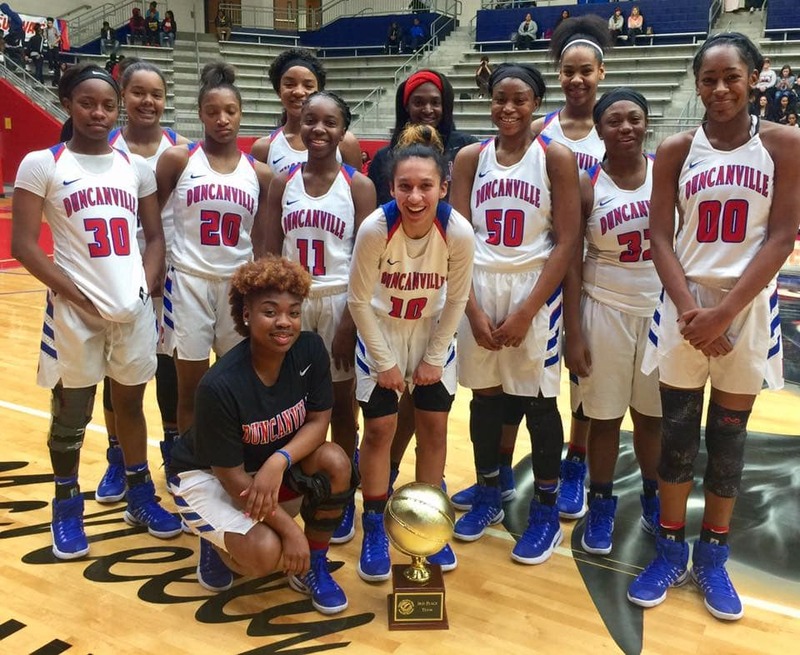 Each year the Duncanville Lions Club, City of Duncanville and Duncanville ISD join forces and talents to put on one of the premium events in high school girls’ sports. The Duncanville Chamber of Commerce lends worker support and financial assistance. For three days you will witness 32 teams representing the states of Tennessee, Georgia, Arkansas and Texas playing heads up basketball in a true competitive spirit. The Fayetteville Bulldogs from Fayetteville, Arkansas under Head Coach Vic Rimmer will be back again this year. The Bulldogs won the tournament in 2016. Last year our own Duncanville Pantherettes, under legendary Head Coach Cathy Self-Morgan, won the tournament trophy. This year the team is 17-3 having won all three district game. Neighboring high schools from DeSoto, Cedar Hill, and Waxahachie will participate this year. Texas will have a great geographic diversity of teams this year as the Palo Duro Lady Dons from Amarillo will represent the Panhandle and Pearland Lady Oilers journey from the Gulf Coast. Teams from big cities like the Westfield Lady Mustangs and Wheatley Lady Wildcats from Houston will provide heated competition. Small towns like Temple and Killeen will do their communities proud. The private schools represented by Briarcrest Christian Lady Saints from Memphis, Tennessee and Brentwood Academy out of Brentwood, Tennessee will be in the mix. The tournament welcomes the Highland Park Lady Scots under Head Coach Nicole Fleming, a former assistant coach under Coach Self-Morgan. The tournament not only provides good sports entertainment while showcasing our community, it adds an additional economic punch in the arm. Each year the City of Duncanville gives $40,000 to help defray some of the cost of the tournament using funds derived from a tax on hotel rooms and food. Last year the tournament gave back $42,000 to the city through money used by customers to pay for their rooms and food. Last year alone 400 room nights were booked just for teams. Pankaj Lad, owner of Best Western Plus Duncanville, said the week of the tournament is the best week of the year for him financially. Martin estimated that total economic impact for the community is over $85,000 related directly to the tournament. In partnership with Duncanville High School Student Media, the NFHS High School Sports Network will provide live coverage of all games in the Sandra Meadows Arena on the Duncanville channel at nfhsnetwork.com. You can find the channel at http://www.nfhsnetwork.com/schools/duncnville-high-school-duncanville-tx. There is a monthly pass available for $9.95 to view all games being played in the arena.